Mrs. 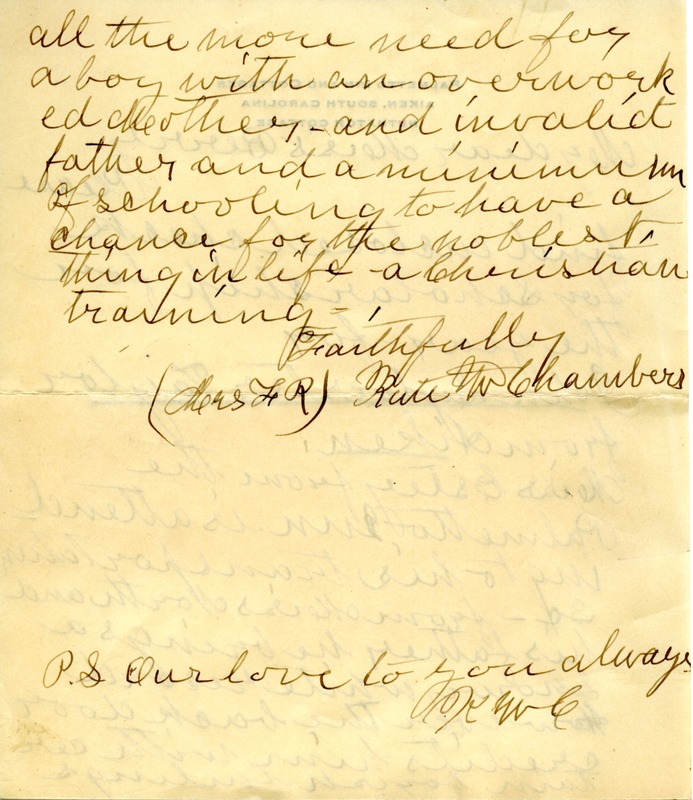 Chambers encloses a check for a scholarship for John Sylvester Taylor. She says he has a snowy white record with a few boyish incidences which show all the more need for an education. 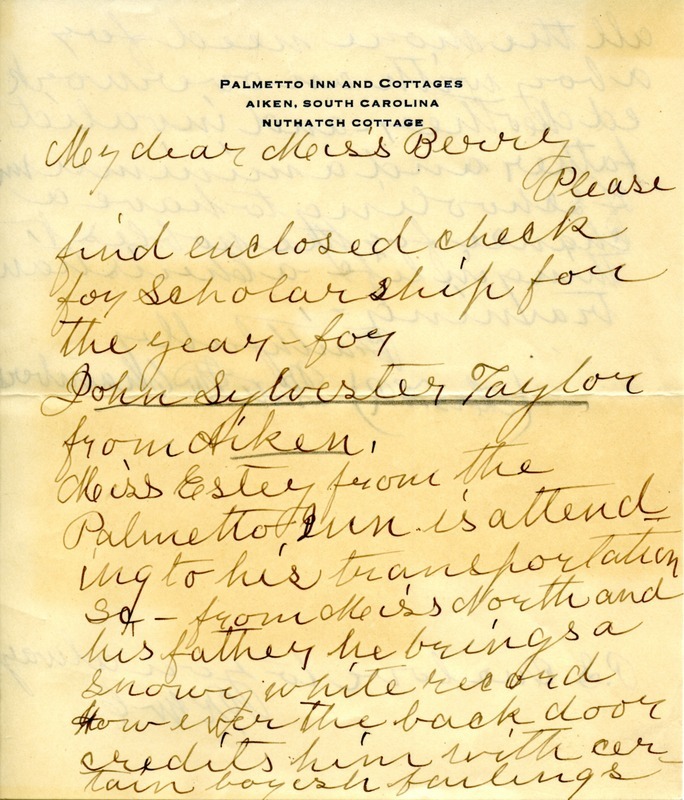 Mrs. Kate W. Chambers, “Letter to Martha Berry from Kate W. Chambers.” Martha Berry Digital Archive. Eds. Schlitz, Stephanie A., Chelsea Risley, et al. Mount Berry: Berry College, 2012. accessed April 21, 2019, https://mbda.berry.edu/items/show/9752.